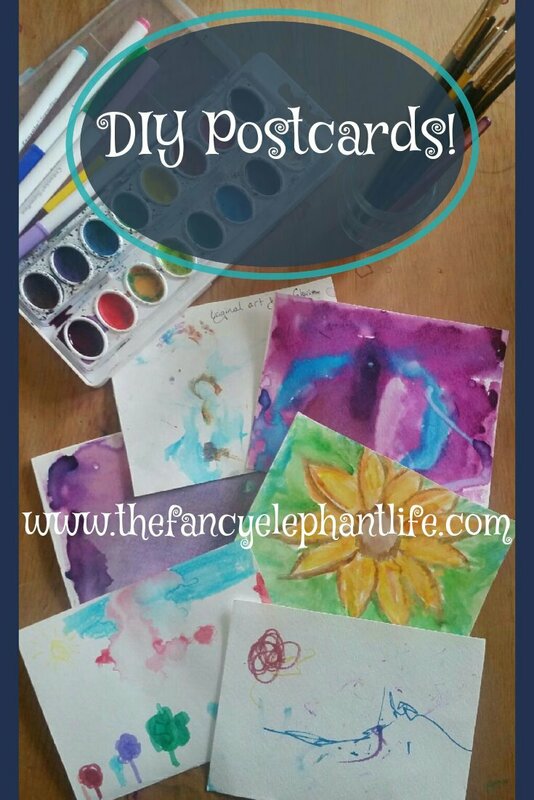 DIY Postcards Using Kid Art! 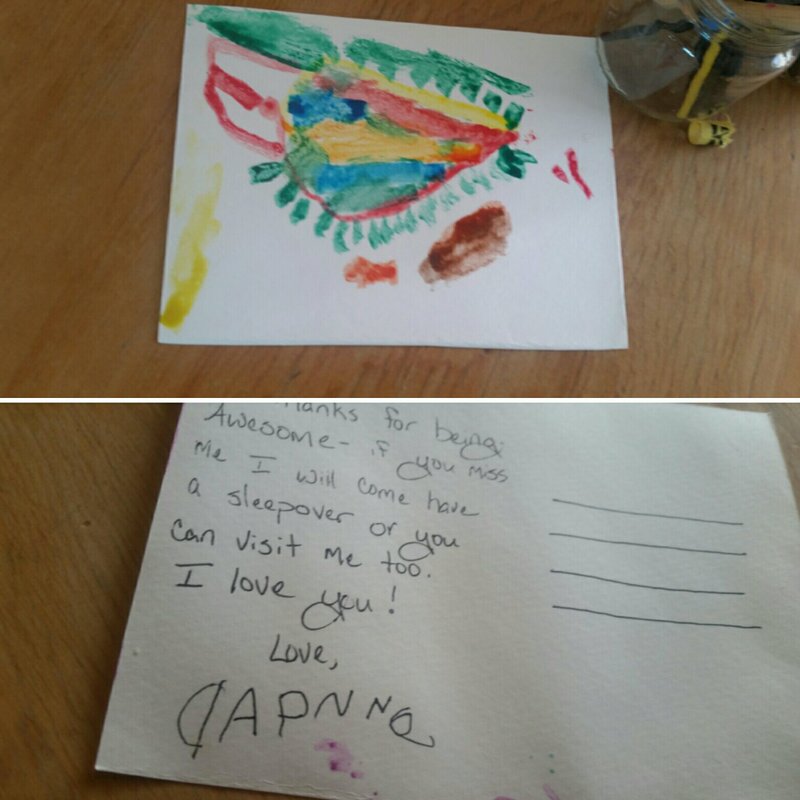 I was checking out ArtyMommy‘s blog the other day and she did this GREAT project using kid’s art to make coasters! 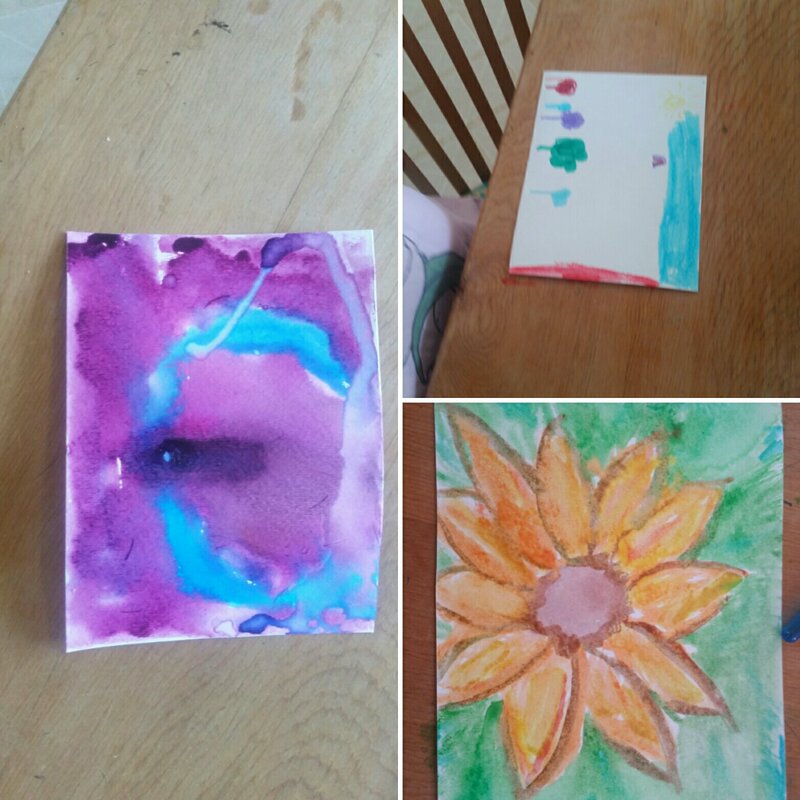 I want to give it a try sometime but didn’t have supplies on hand… so, I thought for a minute- how do I use kid’s art? I know- postcards! In fact it’s time to mail out a new round of postcards to our friends and family- so I documented. 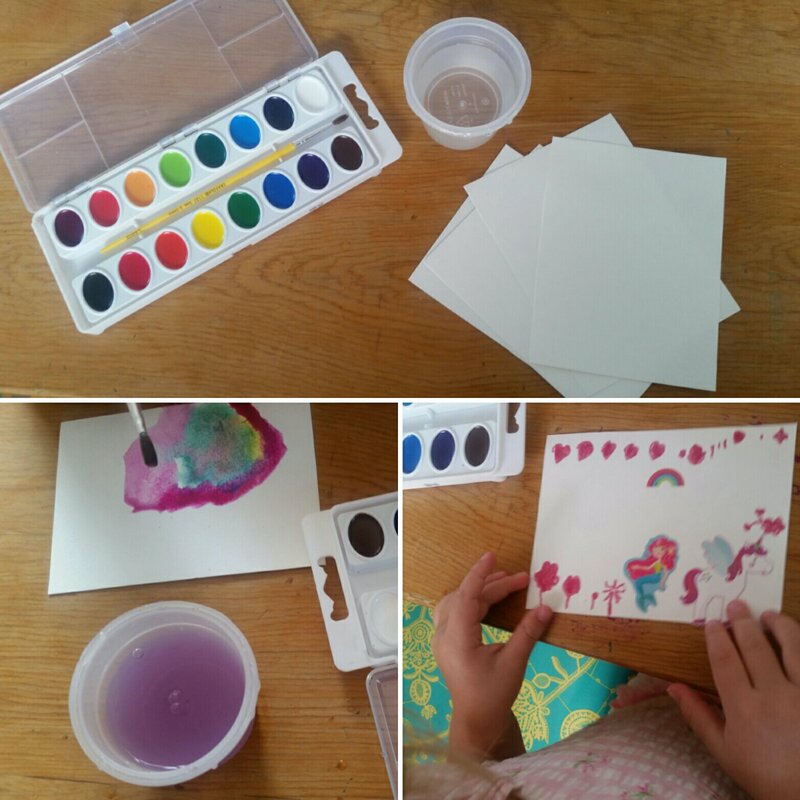 Here’s a fun, easy afternoon (or morning) art project to do with your kids and share with your loved ones! 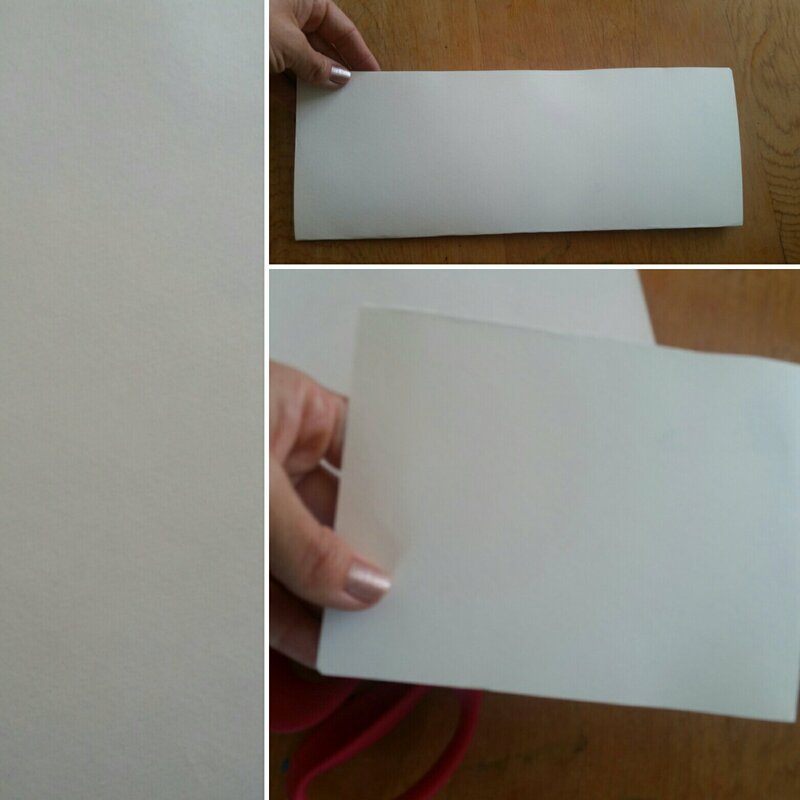 Using a 9×12 piece of watercolor paper I folded it in half lengthwise, then widthwise and cut along the folds getting 4 small postcard sized pieces. Then I set up the watercolors, markers and stickers and we all sat around making postcard art. I took dictation then Daph practiced signing her name. Some very love filled postcards will be making their way across state lines soon… who will be the lucky recipients?! 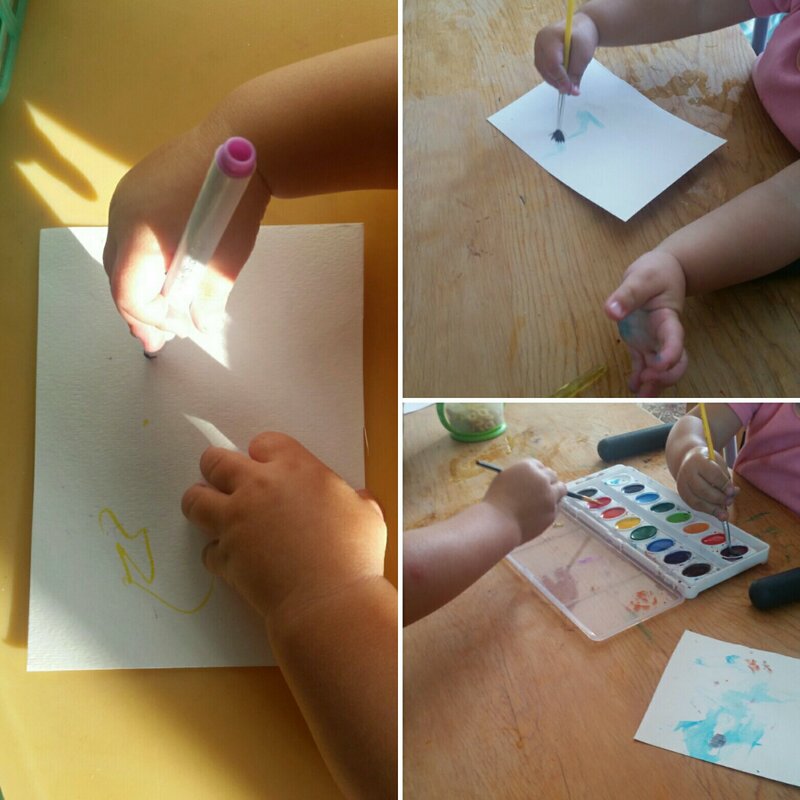 What other cool ways can you use and maybe even gift kid art? Previous Post DIY Sunflower Garland Tutorial! Next Post Fairy and Hero Names! What’s yours? Your art is the best art. I’m obsessed with finding new ways to celebrate kids art (on my blog and more importantly in real life 😉 ). Thanks for sharing this project. Looking forward to following you in the future. Nice👌I am always looking out for mini art projects to do with my kids…thanks for sharing.